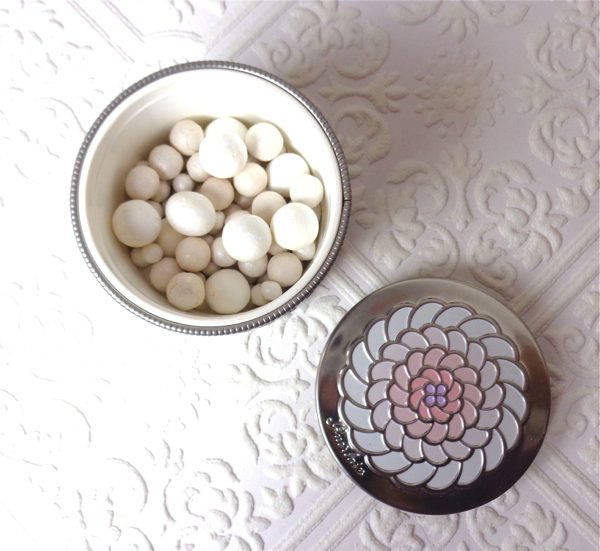 This was gifted by Bellyhead of Wondegondigo blog through her amazing giveaway, and I have already mentioned a few times about how great these ballz are for both illuminating and setting makeup. Blanc De Perle (00) was introduced in 2012 as a part of their Blanc De Perle campaign, which was a brightening/whitening line and meant for Asian market. 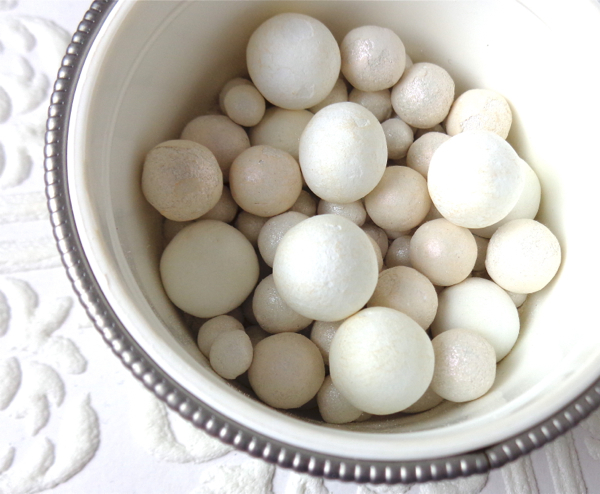 Unlike the usual multi-colored Météorites, Blanc De Perle is mainly "white" resembling those pretty "pearls". I had a multi-colored one with matte finish a long time ago, and my understanding for the product was a "correcting" powder for complexion. 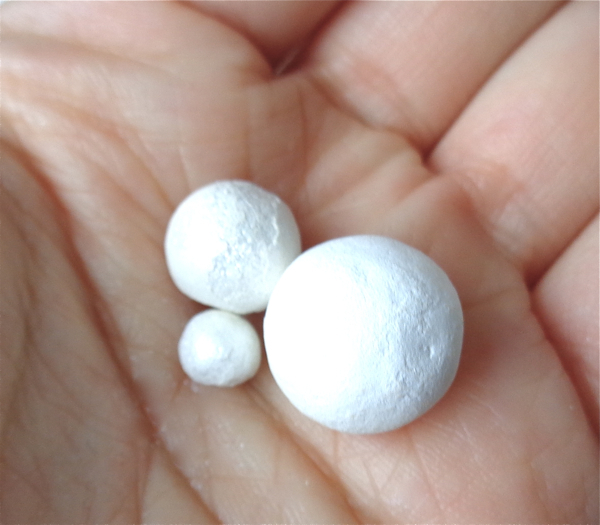 Being young and clumsy, I did not really appreciate these rolling and moving powder and ended up crushing and losing many ballz. Apparently, Guerlain has reformulated Météorites, and it is a setting & finishing powder among being everything. Guerlain Météorites Pearls is an illuminating finishing powder, formulated to boost your natural radiance while evening out complexion. It's been reformulated to incorporate the brand's exclusive stardust technology which diffracts light upon contact to instantly envelope your skin in a halo of light. How to use: Apply the powder evenly to the entire face to set makeup and improve hold. For a boosted radiance effect, illuminate the curved areas of the face by tracing a "G" from the center of the forehead toward the top of the cheekbone, then from the bridge of the nose toward the chin. It is housed in a beautiful and sturdy metal tin. When I said "everything", I meant it. Not only the powder functions beautifully but also it satisfies our inner vanity and makes us feel beautiful using it. I failed to capture the difference in the ballz. Perhaps the previous picture shows it better. The biggest one is matte and whitest in color and two smaller ones are shimmery and have opalescent tint to them. The smallest one might be lighter in color than the medium one, but I am not sure. I do not have swatch pictures of the each balls or anything. Placing them briefly in my palm for a close-up shot was already a blasphemy for me. All I can tell you is that Blanc De Perle gives this insanely beautiful yet believable glow to your complexion and it holds your makeup better and longer. 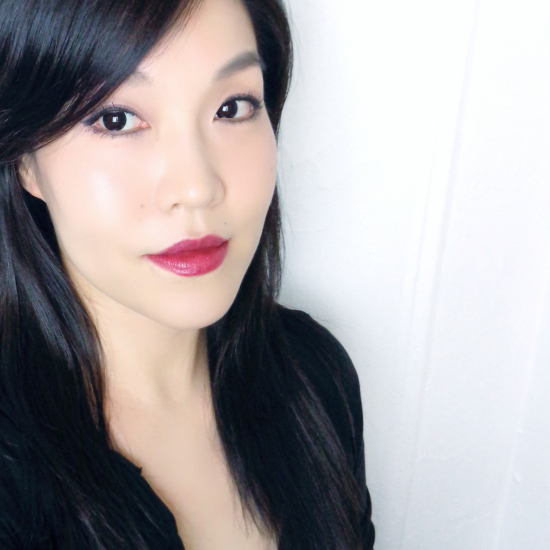 I did try it as a sole makeup setting powder, but the result was not as impressive. For me, it works best dusting lightly all over after I set my foundation with a sheer silicone-based powder. I actually have some proofs as to "the glow" I was referring to. 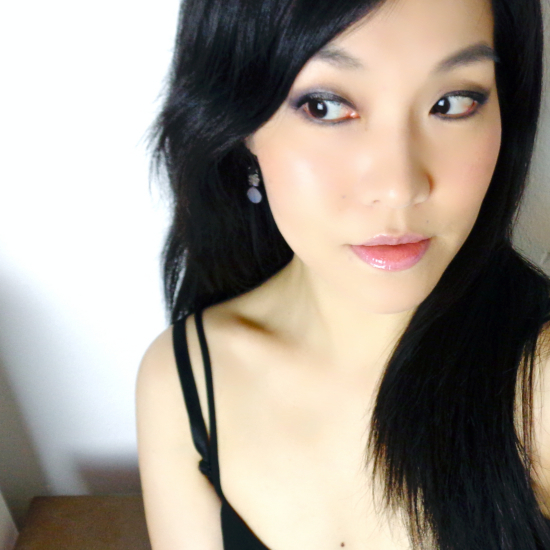 I used Guerlain Blanc De Perle in these two different looks. Although Blanc De Perle was an LE in Asia, you can still find it from online stores. 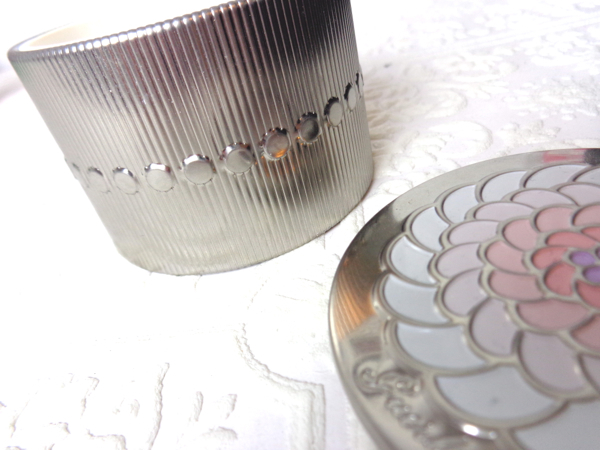 It is suited best for neutral/fair complexions, but there are tons of other options with different colors and finishes as Guerlain brings out limited editions each seasons. 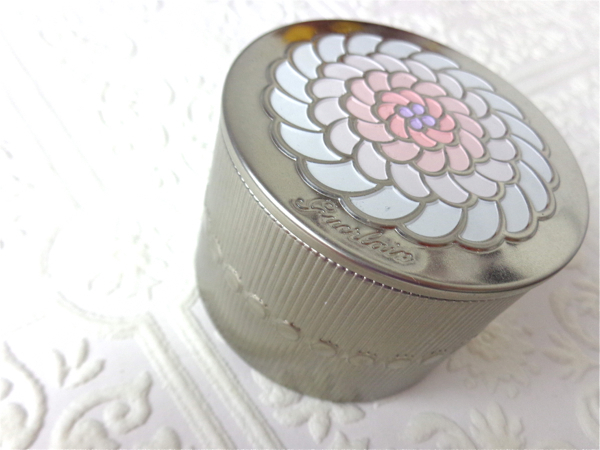 Have you tried Guerlain Météorites? What is your experience if any? Ugh, so freaking beautiful, I can't stand it. (You and the ballz.) I'm eventually going to get the newly formulated kind in shade 02 or 03. I think I prefer the "finishing powder" option vs. the "illuminator." I feel like getting the brush too just to match, even though everyone says it's scratchy and crappy overall. I think without it, you already glow like Galadriel Lena. But with the Perles~~ oh gosh, can't take the GLOW! Beautiful but not over the top in your face kind of way. Just enviable, cant-detect-what-it-is-exactly skin that seems lit from within ♥ Ahhh, I love them Meteorites! Hey Lena, oh the famous balls! I don't feel the need to collect them, but I do love the tub I have (Perles du Dragon from a couple of years' back). You have great skin to begin with, but these just add a little radiance to make it even better! I agree that if you find something that works for your skin tone, one is enough. I have never tried any meteorites but I am always curious tbh.. I might get one when I'm traveling to Asia in may, because usually they have nice offer ( and nice sets ) in duty free. the finish def looks glowing and radiant on your skin, so beautiful! Gorgeous, gorgeous, gorgeous, Lena! I haven't really paid attention to the all the reformulations and types and whatever with these, because I'm not much of a finishing powder person (eep?). These are INSANELY GORGEOUS as are YOU! Too bad it was LE in Asia only! I would have gotten them for sure! I have the Pucci Ballz, and LOVE them. My favourite setting powder by far! LE is in asia only? lol le sigh. i wish companies wouldn't do that..
i can see it definitely gives a great glow! They are available at many different online stores last time when I checked! I have wondered what you use to get that amazing glow! Your skin looks flawless. You look glowy for sure!!! I only have the Teint Rose, and I really want this white ballz as well. Thing is, I doubt I'll see much difference in results (between the 2, that is) and getting different tubs of balls is just the hoarder in me acting out. So, I'm going to be insanely grounded and say, while I love to have it, I'll pass. Glad to be able to see how it looks on. It really is beautiful! I love it. p.s. you have gorgeous bone structure! oh my GORGEOUS, Lena. I haven't tried them but I have lusted over them forever and ever! Might have to treat myself! that looks beautiful on. I have yet to try one of these magical balls from Guerlain. I have read more about the colored ones than this one, but this one seems pretty interesting too. Hopefully one of these will eventually find its way into my collection. You are so lucky! I never win giveaways. I gave up on them altogether.